Excellent traction and braking on snowy surfaces. High stability in lateral grip. With the generation of winter compounds used, it achieves excellent wet and snow performance. Moreover the innovative base compound and bead geometry improve handling and stability of the vehicle also in dry road conditions. 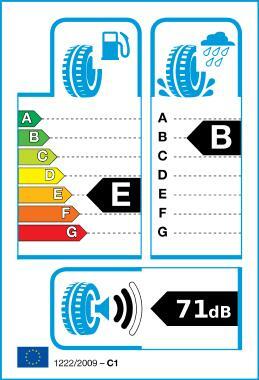 Already complies with the 2012 EU Directive on the reduction of noise, resulting in improved driving comfort. The I.B.S. (Interactive Brickwork Siping) technology used for the sipe pattern improves performance on wet and dry surfaces. It gives a feeling of safety in extreme conditions and reduces braking distance.